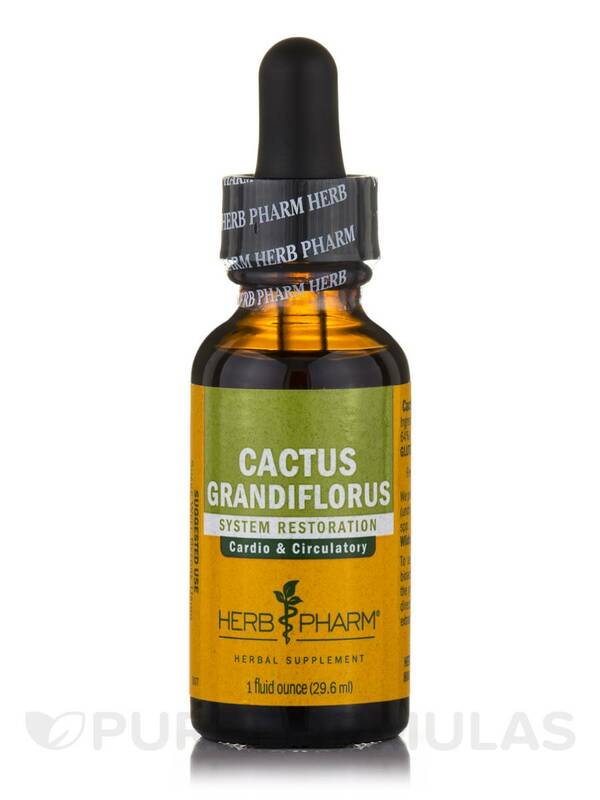 Cactus Grandiflorus Extract by Herb Pharm may work to maintain optimal cardiovascular function in several ways. Notably‚ cactus grandiflorus—which is also known as night-blooming cereus—is an herb that may help address certain symptoms associated with a condition called pericarditis‚ such as mild chest pain or shortness of breath. It may also work to regulate your heartbeat. In addition‚ cactus grandiflorus extract may act to reduce minor congestion in your arteries as well as other blood vessels. As a result‚ this supplement could potentially work to maintain healthy circulation. Finally‚ cactus grandiflorus extract might play a role in relieving certain symptoms associated with mild edema‚ such as fluid retention and swelling in the feet or hands. Each bottle of Herb Pharm’s Cactus Grandiflorus Extract contains one fluid ounce of solution. 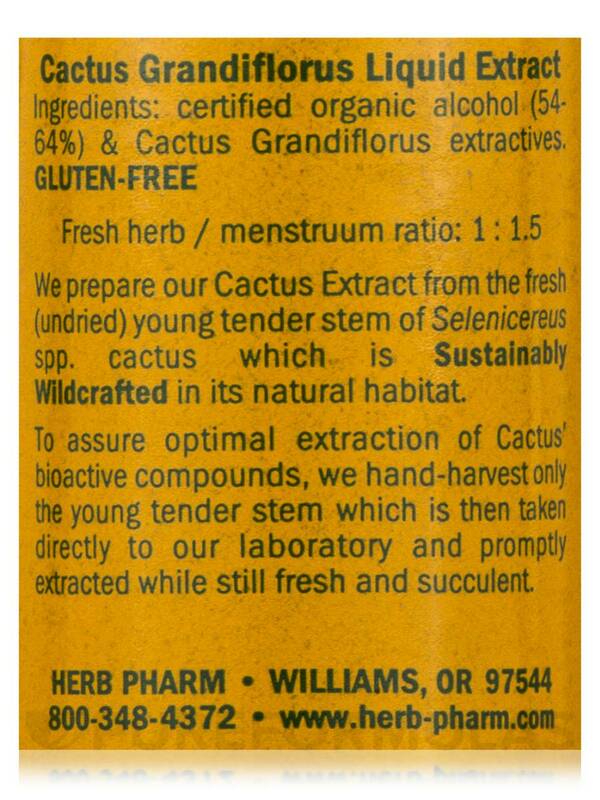 This supplement is prepared with fresh tender stems that have been harvested by hand from custom wildcrafted cactus grandiflorus (selenicereus spp.) plants. Certified organic alcohol (54-64%) and cactus grandiflorus extractives. Fresh herb / menstruum ratio: 1:15. Shake well before using. Take up to 40 drops in 2 oz. of water or juice‚ two to four times per day. Best taken between meals. 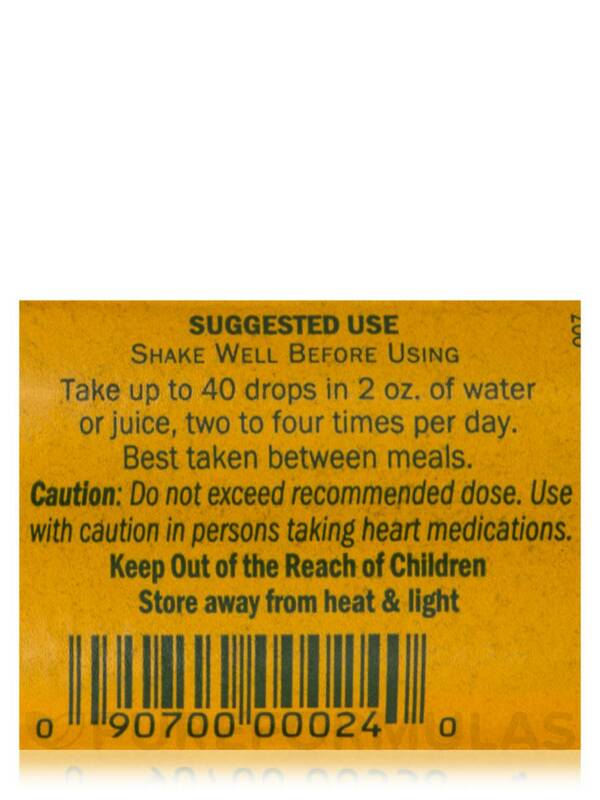 Use with caution in persons taking heart medications.